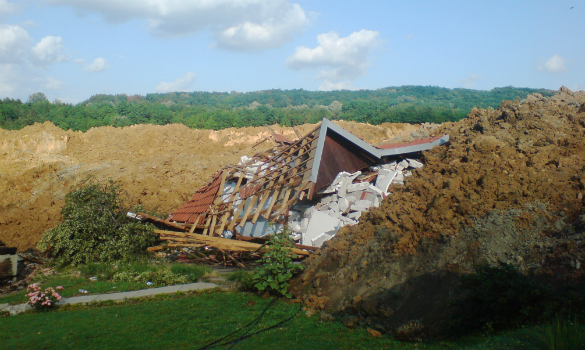 People in Junkovac (Serbia) are still waiting for information on how they will be compensated after a landslide connected to the Kolubara lignite mine has destroyed several houses and terrified the town one month ago. People in the village Junkovac, near the Kolubara lignite mine, are relieved but still tense. They were threatened by a landslide, which has now slowed down, but still poses a risk for them if they don’t move. Yet, despite of being scared, they are not leaving their houses for fear of not receiving adequate compensation from the Kolubara mining company. 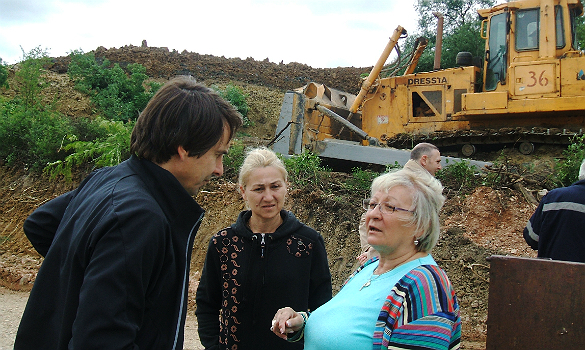 It started four weeks ago (Bankwatch reported): A hill nearby Junkovac started sliding down towards the village – apparently because of the pressure put on it by overburden from two mine fields that was dumped in the vicinity. 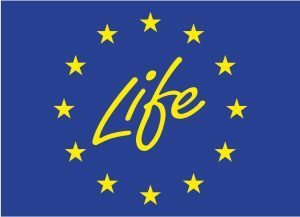 Operations on one of the two fields (Field C) have been supported by the European Bank for Reconstruction and Development and the German KfW banking group. I was there after the first two houses had collapsed and I’ve seen how a road has been swallowed by the landslide. Another three houses have collapsed since then. 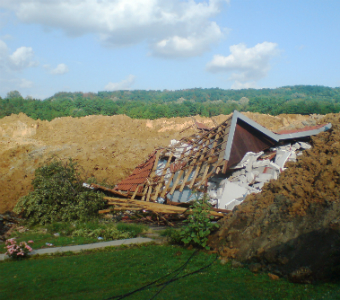 One of the houses that were completely destroyed. An entire road has been swallowed by the landslide. Locals watching the clean up works 150 meters away from their house. The people I spoke to were afraid and shocked, also because at first they only received informal advice, no concrete help from authorities. 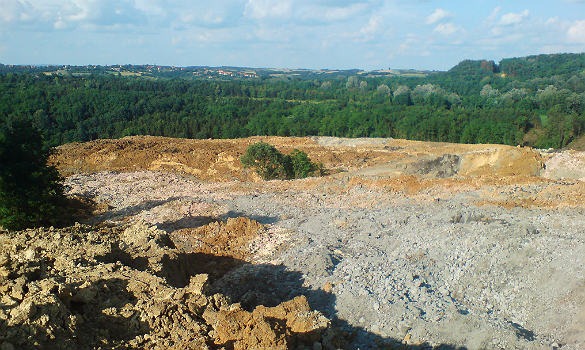 The state energy company EPS which operates the Kolubara mines and which is responsible for the management of the overburden was working with bulldozers to slow down the landslide. But strangely when I visited the village, there was no police on site, no emergency teams, just Kolubara machinery. One could not help the feeling that the company is just cleaning up its backyard, its territory. 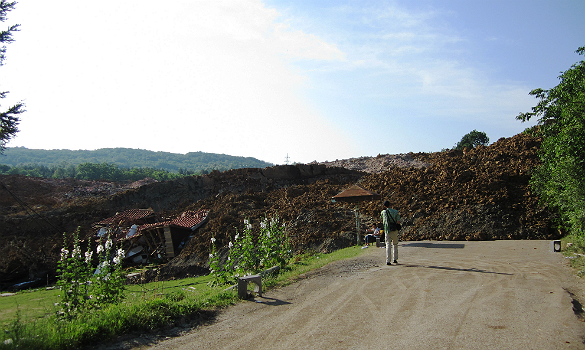 Until last week when I visited Junkovac again, the landslide had steadily slowed down (but the earth is still moving). The landslide also does not head towards the village anymore. These are the good news. But it was sad to see an entire street washed away and to be unable to find out what exactly happened to the people who lived there. They are gone, their houses are gone. Approximately 40 houses in the village are still in danger and authorities are preparing to relocate and compensate eleven families soon – the rest should follow at a later time. Our local contact, who prefers to remain anonymous, told me the families received and signed an inventory of their property (prepared by the municipality). The document, however, did not include an estimation for the value of this property, so people are are waiting for more than two weeks now to receive a financial offer. Once the offer arrives, they can either accept and get paid or refuse and receive 50% of the offer and be advised to go to court, which could become a very costly and lengthy procedure. It remains to be seen whether the offered compensation is appropriate. Except for one family (whose house was destroyed), all have decided to stay until then and not accept the offer of temporary relocation to Vreoci. Our contact said that others don’t want to leave for fear of being cheated. They prefer to stay, even though the landslide could change course again. As financiers of EPS in general and specifically of parts of the work on those fields from which the overburden came, the EBRD and KfW should closely monitor this process and ensure the people in Junkovac are treated fairly.